World Medical Mission volunteer physicians are often called upon to perform life-saving surgeries. Dr. Nathan Ginther is a general surgeon from Warman, SK, who served at Kapsowar Hospital in Kenya. Here he shares about serving with World Medical Mission, the medical arm of Samaritan's Purse. Canada, on average, has two physicians and roughly nine nurses or midwives per 1,000 people. This stands in stark contrast to many countries in the developing world. They may have as few as two physicians for every 100,000 people. But Canadian medical professionals are helping to create a new, more hopeful reality through Samaritan’s Purse World Medical Mission. 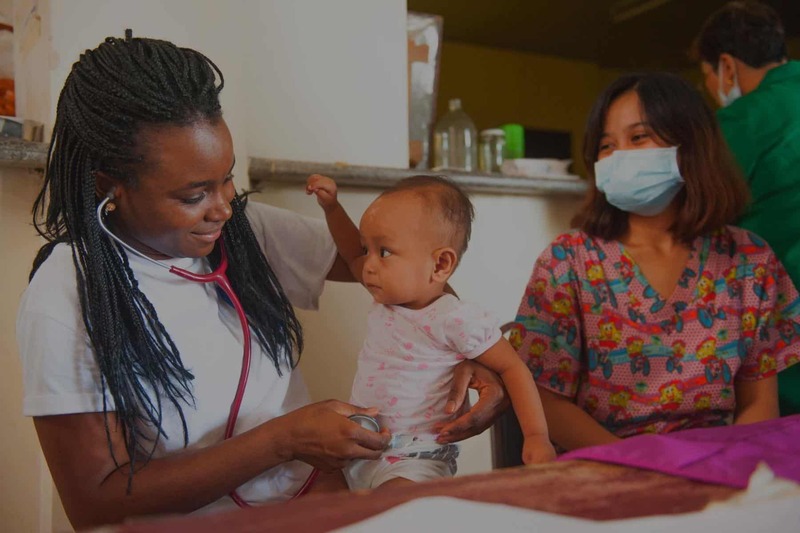 The focus of Samaritan’s Purse World Medical Missions is clear: Following Jesus Christ’s command to “heal the sick who are there, and tell them the Kingdom of God is near you” (Luke 10:19). This command has been followed by countless physicians, dentists, and other medical personnel-some who are members of the Christian Medical and Dental Society-who have shared their skills to bring healing to those in need through short-term service at mission hospitals and clinics around the world. World Medical Mission began in 1977, when two surgeon brothers, Drs. Lowell and Richard Furman, approached Franklin Graham two years before he would become president and CEO of Samaritan’s Purse. The brothers wanted to volunteer for a short-term assignment in a mission hospital during their vacation, but said there didn’t seem to be any organization that arranged such trips. Not wanting to duplicate efforts, Franklin researched the field for other organizations that might already be involved in this work. To his surprise, there were none. Franklin accepted the challenge to lead this organization, and World Medical Mission was born. The hospitals served by World Medical Mission are used by God to lead thousands of people to faith in Jesus Christ. In remote areas around the world, missionary medicine is one of the most effective means of evangelism. Dr. Greg Kline is a Canadian endocrinologist who served at Mbingo Hospital in Cameroon for two weeks, which was his second trip with World Medical Mission. Dr. Kline was invited to Mbingo Hospital, in a rural part of the Northwest Province, where he spent two weeks providing intensive endocrinology training for eight Cameroonian physicians in residency. “One patient in particular had a tremendous impact upon the residents,” says Dr. Kline. “A young man had been wasting away for six months to the point where he was bedridden, hospitalized, and barely responsive.” The patient had been aggressively investigated for all sorts of medical disorders, including a comprehensive search for various types of infections or cancers but nothing was found. The team decided to consider a diagnosis of adrenal insufficiency. Dr. Kline recommended that the residents test their hypothesis by giving him just 5 mg of prednisone, which would otherwise be harmless if their diagnosis was wrong. What happened next left Dr. Kline and the staff amazed. “The very next day we came by on ward rounds, and when we stopped in front of the man’s bed, he sat up straight and said, ‘Hello’ and ‘I want to eat!’ says Kline. “From that point on, we called him Lazarus. He was discharged from the hospital within a week.” Dr. Kline says when he was a medical resident, he chose to specialize in endocrinology because of a love for this area of specialization. He had felt guilty at times, however, thinking he would have been more useful to God in a surgical or procedural specialty. “[The patient dubbed] Lazarus has shown me I was wrong,” says Dr. Kline. Kline says Lazarus, among other patients, were people brought to him by God, in dire need of his exact skills. He says he has now learned that God can use anyon-even an academic endocrinologist-to serve His people and accomplish His purposes. When a 19-year-old girl came to Kapsowar Hospital for help, she was suffering from a severe post-partum hemorrhage. A first-time mother, she had delivered her baby at home, but continued to bleed for the next week. First, her family tried traditional healing methods by cutting 10 small incisions on the skin overlying the young woman’s uterus. When that didn’t work, they finally took her for treatment and were referred to Kapsowar Hospital for possible surgery. “When she finally arrived, she had lost over half her blood volume and desperately needed a transfusion,” Dr. Ginther recalls. “When we discovered that our blood bank was empty, two doctors sacrificially volunteered their own blood. 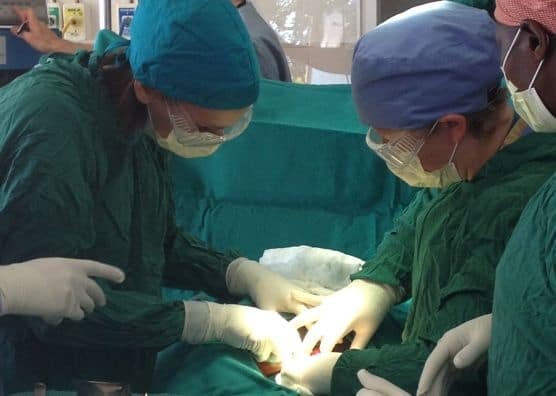 We were forced to perform an emergency hysterectomy.” Although the team was able to save the mother’s life, it came at great cost. The young woman is part of the Pokot tribe of Kenya-an impoverished community that measures social status not by possessions, but by children and childbearing. Tragically, this mother will never be able to bear children again. As a result, her husband will likely marry a second woman for more children, while she will become the subject of village gossip, jokes, and malicious slander-all because of something beyond her control. In the days following the operation, Dr. Ginther says she struggled with depression. “Through counseling provided by our chaplains, and prayer from many at the hospital, a visible change began to come over the young mother,” he says. “Joy returned and she began to rejoice in her healthy baby.” Though the woman has a difficult road ahead, she and countless other patients treated at Kapsowar Hospital are better equipped to face adversity after receiving quality care and support for their physical, emotional, and spiritual needs. “Our prayer is that through the care we provide and the power of God, their lives will be changed in Jesus’ Name,” says Dr. Ginther. For more information about volunteer opportunities with World Medical Mission visit SamaritansPurse.ca/WMM.